In most Pagan traditions, Mabon, the autumn equinox, is a celebration of the second harvest season. It's a time when we're gathering the bounty of the fields, the orchards and the gardens, and bringing it in for storage. Often, we don't realize how much we've collected until we pile it all together - why not invite friends or other members of your group, if you're part of one, to gather their garden treasures and place them on your Mabon altar during ritual? Many Pagan groups use Mabon as a time for operating food drives - and if you have a local food pantry that accepts fresh produce, even better! You can follow up your celebration with an Elemental Blessing of Donations ritual! Decorate your altar in a pattern or design that is meaningful to you, using food as your centerpiece, and let the Mabon celebrations begin! Be sure to read about some of our Mabon rituals for ideas when you're planning your Sabbat celebrations! Setting Up Your Mabon Altar: The time of the autumn equinox is known as Mabon. This is a day to celebrate the second harvest and the balance between dark and light. Here are some other suggestions for altar decoration. Ten Ways to Celebrate the Autumn Equinox: Looking for a way to celebrate Mabon, the second harvest Sabbat? Read on for some great ideas for you and your family to observe the autumn equinox. Honor the Dark Mother at Mabon: Mabon is a time when the earth is dying a little each day, and as we welcome the harvest, we also realize that the long nights of winter aren't far off. Honor the goddess in her aspect of crone at Mabon. 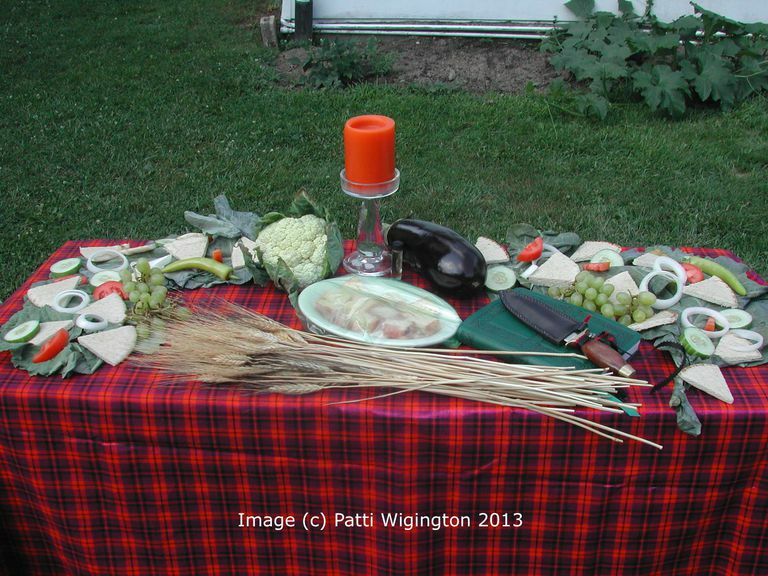 Mabon Apple Harvest Rite: This rite is designed with solitary Wiccans and Pagans in mind, and uses the apple and its five-pointed star as the focus.